Alan Cunningham was a botanist and explorer, who may have been the original collector of the wild Sinningia speciosa. It seems that anything written about the history of the florist’s gloxinia from the 19th century into the early years of the 21st century cites either the 1815 discovery and/or the 1817 introduction dates for S. speciosa. However, all of these citations lack any kind of documentation. A good example is Harold E. Moore’s excellent book African Violets, Gloxinias, and Their Relatives, published in 1957. Moore (1917-1980), a professor of botany at Cornell University and a devoted student of the Gesneriaceae, mentioned the Loddiges 1817 illustration, but he did not show the image or even reference the publication. Fortunately, we have the online Allan Cunningham Project , which includes a biography of the famous botanist Allan Cunningham written by his friend Robert Heward and published in 1842 (Cunningham had died in Sydney in 1839 at the age of 47). Gesneria (Sinningia) bulbosa, from Curtis’s Botanical Magazine, 1842. Cunningham and his partner James Bowie had been sent to Brazil as “King’s Collectors” by Sir Joseph Banks, then President of the Royal Society of London, in 1814. The Cunningham Project includes a definitive reference to a group of plants collected by Bowie and Cunningham in Brazil that were sent by ship to England. 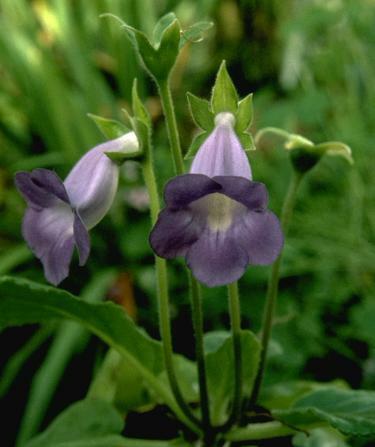 In this list, we find the species Gloxinia (Sinningia) speciosa and Gesneria (Sinningia) bulbosa, both of which grow in and around the city of Rio de Janeiro. Because Cunningham and Bowie were both employed by Kew Gardens, their collections were sent there. Although several herbarium sheets of Sinningia from Cunningham and Bowie have survived to the present day, all but one are S. bulbosa, and S. speciosa is apparently not represented (there is one unnamed specimen that appears to be a shrubby species such as S. aggregata). We also do not know whether any sinningias were among the living collections sent to England, or whether they were only included as dried specimens. 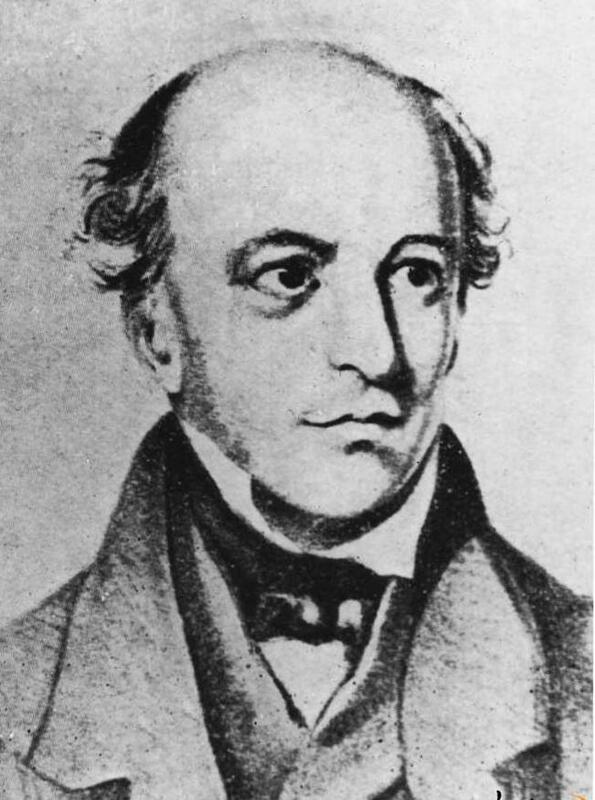 Cunningham and Bowie spent the better part of two years in Brazil, from December 1814 until late September 1816, during which time they made many excursions and collected thousands of botanical specimens. The pair was instructed by Banks to keep detailed records of their travels and collections and their journals from this time are housed today in the British Museum of Natural History. The handwritten accounts of their time in Brazil were recently (2015) transcribed by Tony and Tessa Orchard in their self-published book King’s Collectors for Kew: James Bowie and Allan Cunningham, Brazil 1814-1816. The term “gloxinia” is found only once in the journal of James Bowie, but there is no way to know whether this entry records the actual collection of S. speciosa. A wild collection of Sinningia speciosa, perhaps similar to that seen by Cunningham and Bowie near Rio de Janeiro. They identified the species as belonging to either Ruellia or Gloxinia. On Friday, February 3, 1815, Bowie and Cunningham “took a walk up the Monte da Santa Theresa in the evening” and Bowie wrote, “The plants we found were Passiflora speciosa[? ], Excoecaria sp. ?, Ruellia or Gloxinia….”. Cunningham’s entry for this day records some of these same plants, and notes that the “Ruellia sp.” had blue flowers. 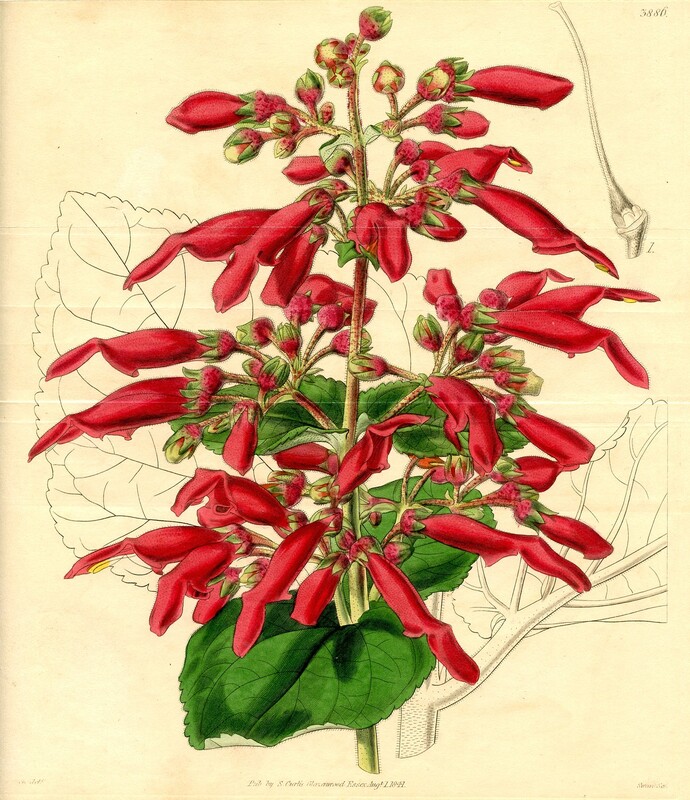 Sinningia is also mentioned by Cunningham, as in this entry from February 22, 1815: “This beautiful scarlet flower’d plant was collected on the rocky slopes of a high mountain near Rio de Janeiro”. Because S. speciosa does not have red flowers, this almost certainly describes one of their collections of S. bulbosa, which was common on the granite hills in and around Rio de Janeiro at that time. Cunningham and Bowie left Brazil in September of 1816, Cunningham bound for New South Wales in the convict ship Surry, where he achieved fame as a botanist and explorer, and Bowie to South Africa, where he arrived at the Cape of Good Hope on November 1, 1816.